Uwhetu Obadiah-Frankin (Chrisland High School Abuja, Nigeria) collected the Best Individual award at the 2016 Secondary Schools Debate on 19th April. 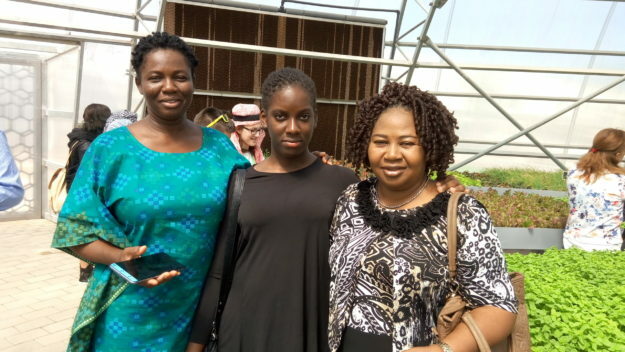 Uwhetu (centre) is pictured here on a tour of Dubai Sustainable City with her Teacher Champion (right) and mother. 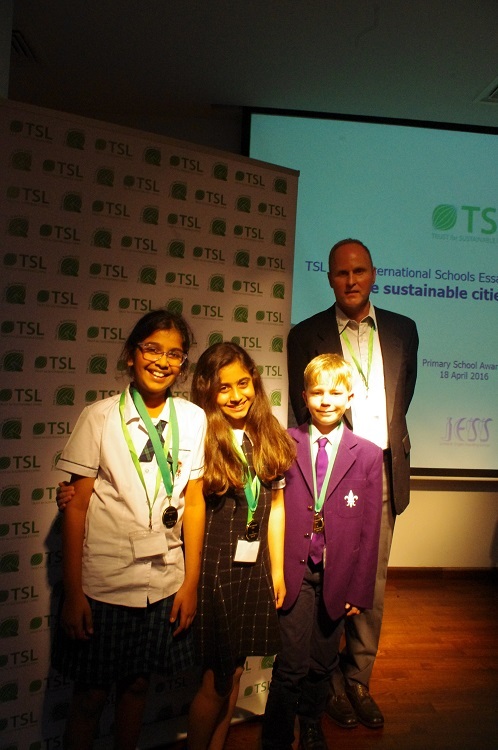 Uwhetu Obadiah-Franklin, from Nigeria, and Salma Reda, from the United Arab Emirates, overtook stiff competition from more than 120 students from across 17 countries to win their respective age groups in the 2016 TSL International Schools Debates earlier this week. 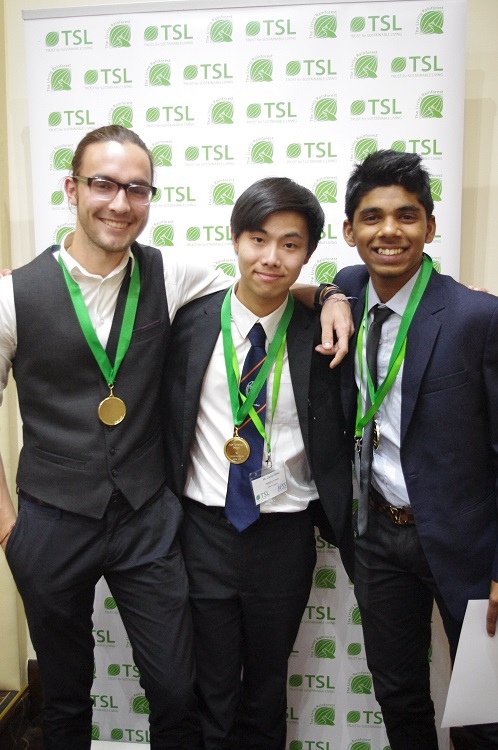 Ingo, Daniel and Ganesh celebrate! The Best Group medalists were the ‘Mahogany’ team! 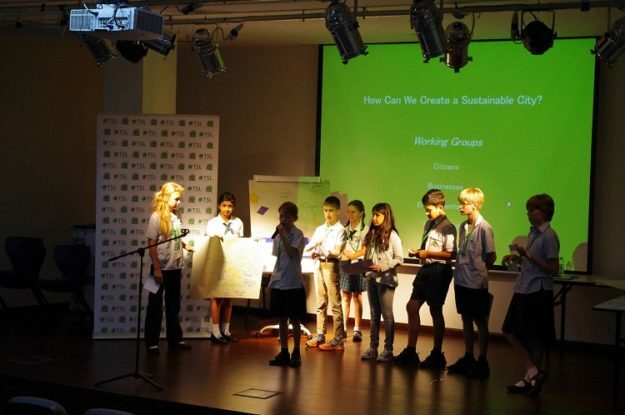 Mircea Godiac (Scoala ELF, Romania), Sophia Arthur and Adam Whittaker (JESS Jumeirah, UAE), Kian Farias, Malaika Hassan and Celine Naude (Jumeirah Primary School, UAE) and Joshua Killa and Tess Ruddell (JESS Arabian Ranches). The best primary school group was the business! 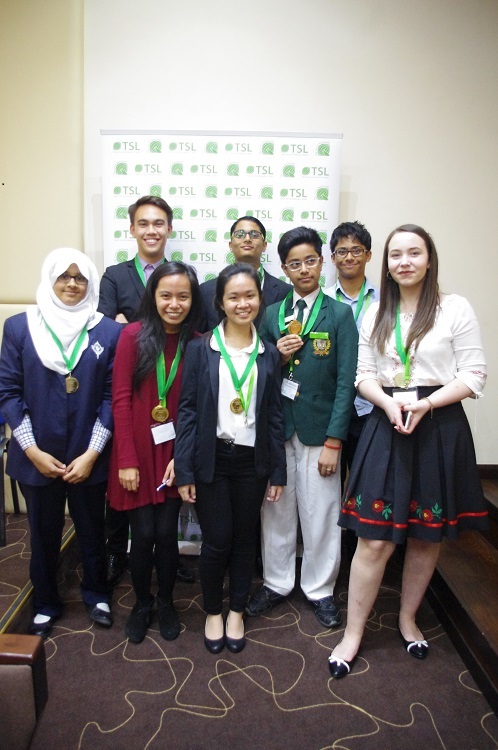 Hosted in Dubai, United Arab Emirates from April 18th to April 19th, the 5th International TSL Schools Debates featured students from more than 50 institutions around the world.